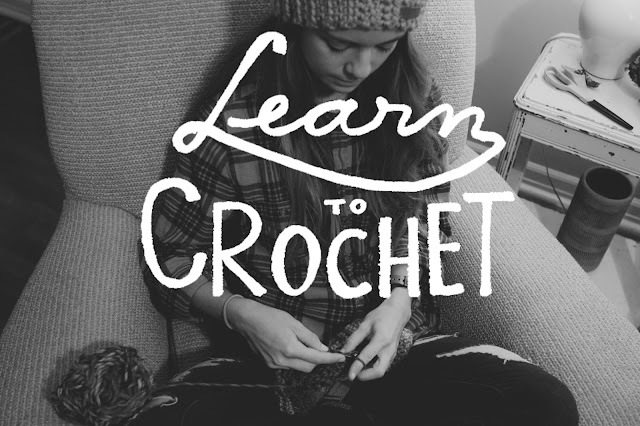 Ever wanted to learn how to crochet but didn't know how to start or what projects would be best for beginners? I'm rounding up some of my favorite patterns and adding video tutorials of the stitches to go along with them so that you can easily learn to crochet. I have the videos broken up into quick lessons so you can easily refer back to them while you are learning. Today I will load the videos and later this week I will post a new crochet pattern! -Basic stitches used for most patterns. -Basic stitch like single crochet but makes a "taller" stitch. Comment below and share what you've always wanted to learn or a project you have been eyeing and I'll see what I can do. A few projects you can look forward to are a simple slouchy beanie, slippers, cross body purse & fleece lined mittens. Some past patterns I have posted include: giant doily rug & barefoot sandals. **Special thanks to Chase Kennedy for the videos! Ahhh this is so perfect! I've really wanted to get into crocheting so this is honestly perfect! Love the videos, and i commend you for filming from your view so it is easier to learn! I just told my husband this week that I wanted to learn to crochet! This seriously couldn't come at a better time! these videos are great! bookmarked this post to come back to at a later time, thanks so much for sharing! The song in the first video is "Emmylou" by First Aid Kit.